It was predictable. But there was a clear message in Parliament yesterday when Government outvoted the Opposition 32-18 for the deputy Speaker. All the pre-election talk about changing aspects of the Constitution by the Opposition won’t happen for the simple reason that it does not have the numbers. Any anti-Government motion that will come from the Opposition will be defeated in the same way as it tried to get its nominee Ratu Viliame Tagivetaua elected deputy Speaker yesterday. Government’s Ruveni Nadalo won. This is the reality for Opposition leader Ro Teimumu Kepa and her team. It could be frustrating but they just have to tough it out for the next four years. Come the next general election, they will be judged on how they performed as an Opposition and as an alternative government. The Government too will be judged on whether it had delivered its election promises. In previous parliaments, empty chairs during debates were not uncommon. Some MPs would turn up at the beginning of the session and disappear for the rest of the day. In this Parliament, both sides of the House will come under severe scrutiny. 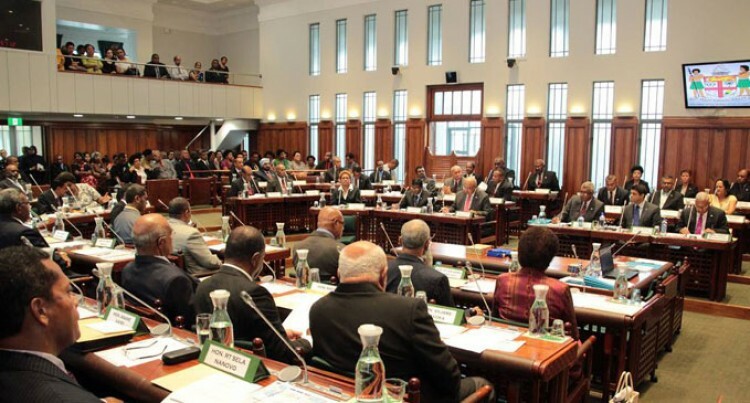 Prime Minister Voreqe Bainimarama has raised the bar for his team and that includes parliamentary attendance. In her first official duty after getting sworn-in, Speaker Dr Jiko Luveni scored 10 out of 10. She was composed and confident when she conducted the vote for her deputy and the election of Ro Teimumu. Viniana Namosimalua, the Secretary-General to Parliament, and her team were flawless. Ten out of 10.